Doing a fine job of keeping the sides and top of the hedge nice and straight. Unbelievable! 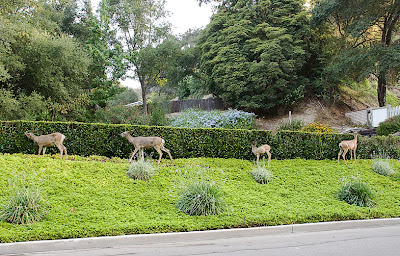 Those deer aren't shy at all. At the cottage (New England semi-rural area) we see them often but they keep their distance and are only seen near a road when they are about to cross it.